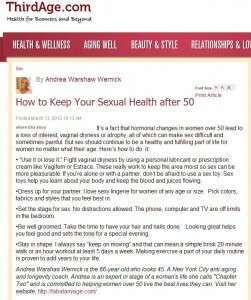 Andrea’s Top 10 Tips on Getting Started and Staying in a Workout Program featured on ThirdAge.com! 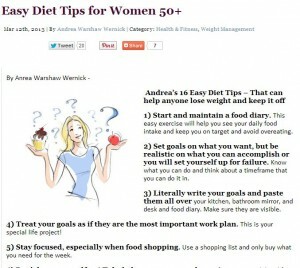 Andrea featured on ZestNow with 16 Surprising Secrets to Control Your Eating! Andrea and Fab at Any Age profiled in Social Life Magazine! 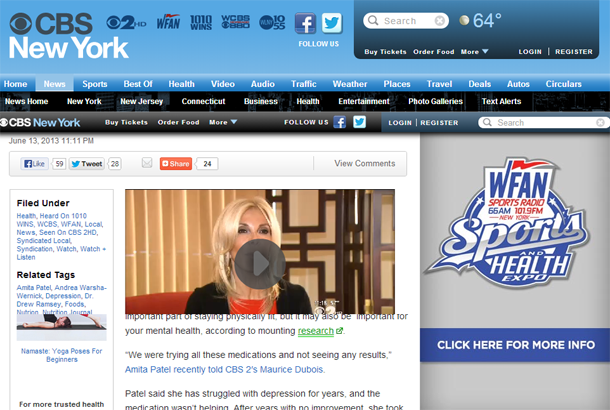 Andrea and Fab At Any Age Featured On CBS News With Mood Boosting Foods! 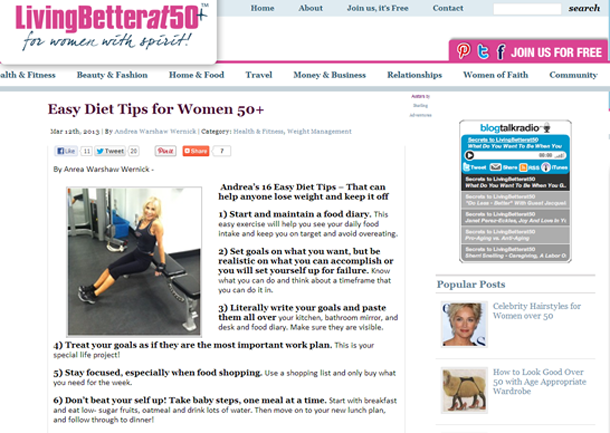 Andrea and Fab At Any Age Featured in the Living Better At 50! Andrea and Fab At Any Age Featured in the Popular ThirdAge.com! 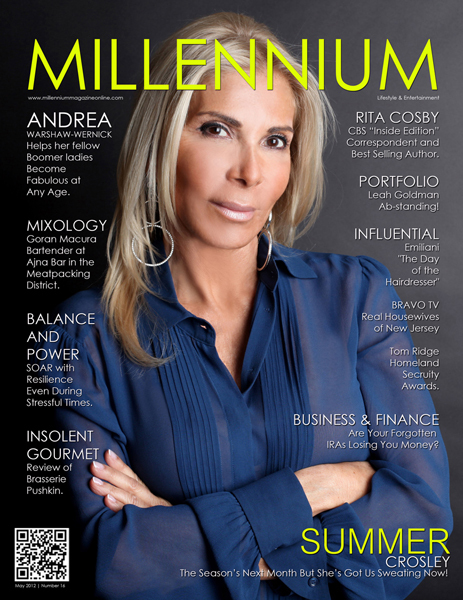 Andrea and Fab At Any Age Featured on Front Cover of Millennium Magazine! Fabulous At 60 Featured on Front Page of UK’s Daily Mail! Fabulous At 60 Featured on Front Page of Women’s Wear Daily! Andrea’s article on the Hampton’s featured in Senior magazine, the largest 50+ magazine in the San Francisco Bay Area. Andrea shares about her fabulous summer in the Hampton’s! Andrea Warshaw-Wernick and Fabulous at 60 featured on Explosiv TV, the Entertainment Tonight of German Television. This video has been translated into English for you to enjoy!! !